As an extension to our swimming pool, we have an area is dedicated specially to well-being. Feel like taking some time to pamper yourself? 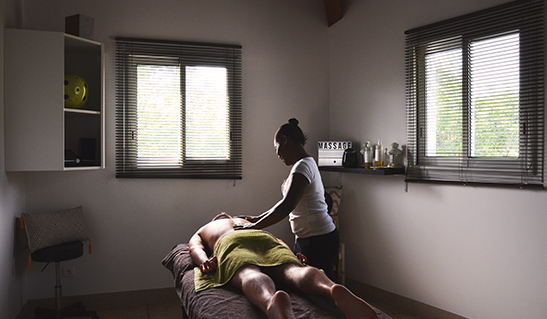 Our team will greet you in a calm and peaceful environment to enjoy some pampering or time in the spa. 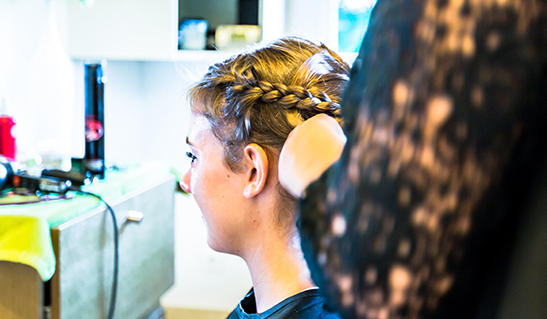 We offer massages, beauty care and hairdressing services. 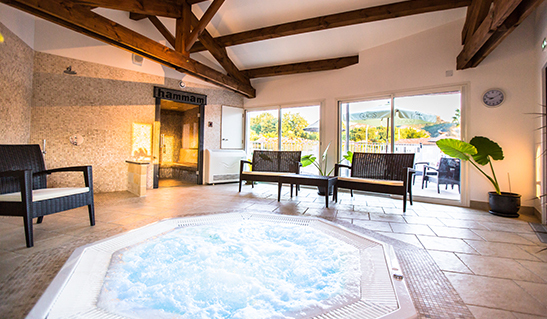 After immersing yourself in the vapours of aromatherapy and chromatherapy, in the hamman or the bubble spa, why not extend your relaxing moment lazing on the sofas of our lounge bar admiring the view over the Cévennes mountain range. For sports lovers, our fitness area can be accessed at all times and is equipped with elliptical exercisers and body-building equipment. 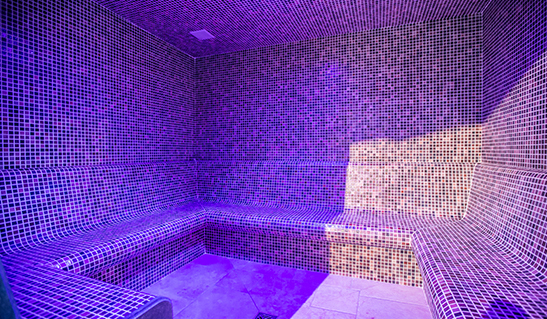 The spa and hammam are accessible on reservation. 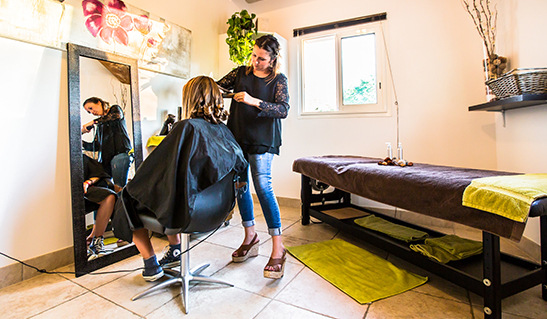 Get a discount entry price if you book a pampering session. Open every day from 9 am to 7 pm from July through to August. In low season, please make an appointment.